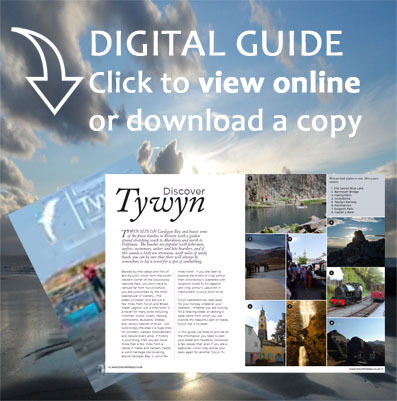 In the first blog in this series, we got you to Tywyn. In the second, we visited the historic Harlech Castle. In the third, we spent a day with the Talyllyn Railway and in the fourth, we visited the mysterious Portmeirion village and gardens. Our penultimate blog saw us visit the Centre for Alternative Technology. In this final blog, we are going on a beach-walk to Aberdyfi. Aberdyfi is a delightful little seaside community four miles south of Tywyn. Originally a shipbuilding and fishing village it is now best known as a seaside resort and mecca for water sports enthusiasts. Pack yourself a picnic and slip on those flip-flops as Aberdyfi is just a beach-walk from your Tywyn Holiday accommodation. The beach is four miles long and forms part of the Wales Coastal Path. Don’t let the distance put you off as this really is one of the UK’s best beaches and if you don’t fancy the trek back, then hop on the train back to Tywyn. On arrival in Aberdyfi, head for the queue at the chip shop or try one of the pubs on the seafront. 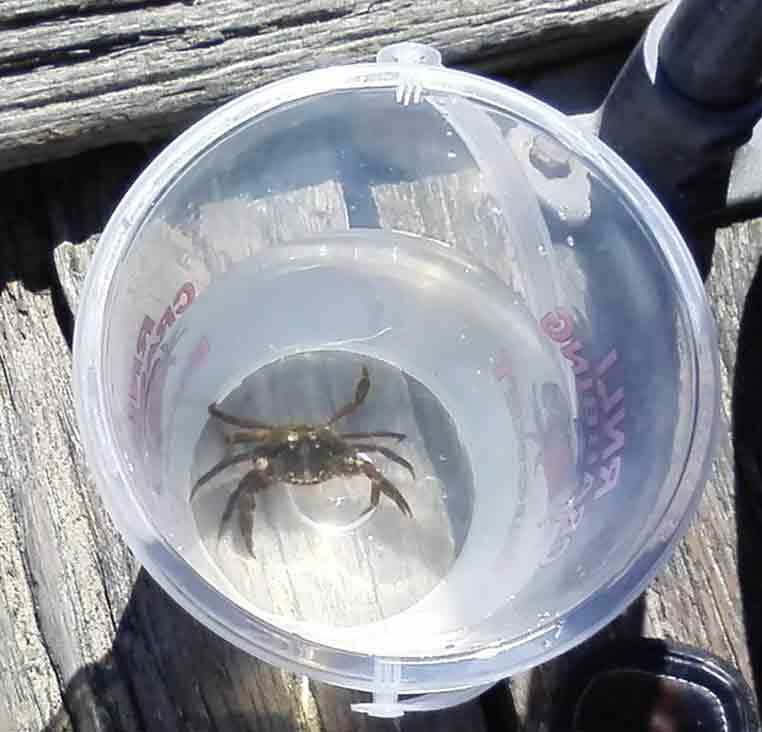 Once you are suitably refreshed, head over to the pier for a spot of crabbing. Lines (£1), bait (£1.50) and a bucket (£1) are available at the nearby RNLI station but all you really need is string, bait, and a weight – a couple of pebbles will do – to keep your bait down. If your bait is heavy enough, you don’t even need a weight. The little bags that come with washing powder are ideal for holding bait. Crabs are not fussy eaters and will take bacon, chicken & fish, or the like. So fill your bucket with seawater, a few stones, and some seaweed, pick yourself a spot on the pier, and get yourself comfortable. Let your line down and wait until your feel the crab pulling. This is what the experts tell you. Personally, I have never felt a crab take hold and my preferred method is to check every minute or two. Now be careful: you need to wait until the crab has a firm grip and then quickly and steadily bring the line-up. Too fast and he will let go; too slow and he will have eaten your bait. Getting the crab to take the bait is the easy bit. The hard bit is actually landing your crab. On a recent trip we ‘caught’ twenty crabs but only landed the one. We then changed position to the other side of the pier and landed fourteen of the twenty crabs we caught. No idea why. Now, you do see a few people deploying ring nets when crabbing which, let’s not dress it up, is just plain cheating. Similarly, using a children’s fishing net as some kind of landing net is frowned upon. Once you have landed your crab gently hold the shell behind the pincers with your finger and thumb and place it in the bucket. When you are done for the day, release your crabs near the waters edge and watch them as they scurry off into the sea. To return to Tywyn, you can either walk back or do what we do and hop on the train. The train station is a couple of hundred yards from the seafront – with your back to the sea just turn left and keep going until you see the sign. Useful tip 1: there are no cash machines in Aberdyfi. Correction: Aberdyfi now has a cash machine but withdrawals are chargeable. Useful tip 2: many of the shops in Aberdyfi do not accept debit or credit cards. Need a taster of before you commit? Have a look at this fantastic video shot by AltaVideo which starts in Aberdovey, goes past Tywyn, and finishes at the Dysynni estuary. Enjoy! In this series of blogs I have suggested a few things to do on a Snowdonia car-free holiday based in Tywyn. There are, of course, many other places to visit in this delightful part of Wales and Arriva Trains have put together an explore Wales map that lists visitor attractions together with rail and bus routes all marked so that you can plan your journey. You can find Arriva’s map here. See our guide to all the train stops on the Cambrian Line for more information. Don’t forget that many attractions offer a discount on admission when you present your rail ticket. For a list of these attractions visit Arriva Trains and save some holiday cash. Cambrian Trailways is also worth checking-out for ideas on things to do by rail in this spectacular part of Snowdonia. The Cambrian Trailways are a series of leaflets promoting car-free accessible walks. All leaflets are available in your holiday accommodation. Don’t forget to visit the Arriva site before your holiday to check what deals they are doing on tickets so that you can maximise your holiday spend. To check ticket prices, train times, and the like, visit Arriva Trains Wales. This entry was posted in Activities and Attractions, Snowdonia by train, Snowdonia Walks, Towns and Villages and tagged Aberdyfi, Beach, Crabbing, Snowdonia by Train, Tywyn to Aberdovey walk on 10 December, 2013 by Paula.